It gives us great pleasure to announce the launch of Post Graduate Program in General Management (PGCGM) from IIM Calcutta. We are proud that IIM Calcutta chose to partner with training.com to deliver this innovative and prestigious program. This is the first time "Post Graduate" title for any blended learning program is being offered by an IIM. The program has strict eligibility criteria. Applicants needs to have full time work experience (ideal is 2 to 5 years), and a valid CAT or GMAT score to apply for this program. 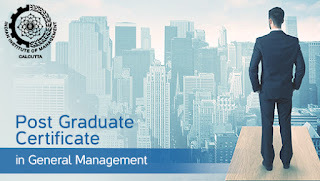 The PGCGM program aims at developing competence in the foundations of management, and seeks to inculcate an understanding of how the management concepts are applied to solve business problems. The program, developed in conjunction with the different academic groups at IIM Calcutta, offers a holistic understanding of the practice of management. 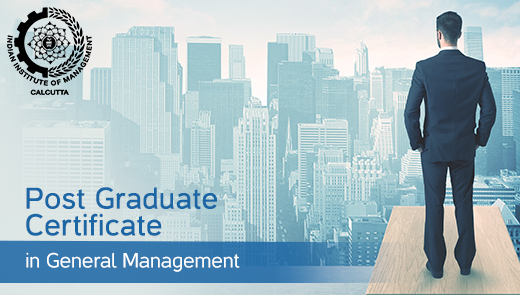 The PGCGM program consists of 336 hours of live, expert sessions conducted by senior faculty from IIM Calcutta. These sessions can be attended from your home, office or any convenient location. The program also includes 3 mandatory campus visits to the beautiful IIMC campus, during the year, which would comprise of face to face sessions and interactions. All examinations will be held during the campus visits. In addition, you also get Alumni status from IIM Calcutta. Interested? Apply now at https://www.training.com/IIMC/PGCGM.